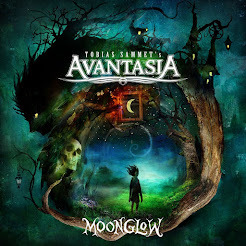 Rock & Metal 4 You: Album/Song of the year 2012 - # 05! We are half way there ... today I show you position # 05 of my album/song - ranking. Slowly it gets more and more exciting. At this point it's really hard to choose which postion belongs to which album/song, because they are all great. Number 5: ELVENKING - "Era"
Finally we got some variety here. 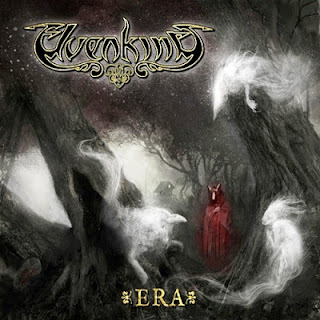 Elvenking is a talented band, who mix up Power Metal with folk and stadium rock elements. This is a great combination and leads to a distinctive sound. The vocals of singer Damna sound clear and dirty at the same time. He has a lot of attitude in his voice, which fits perfectly to the songs. We have here great folk arrangements and excellent melodies, which always find their climax in large stadium refrains. I discovered this band this year, but they are no newcomers. I can also recommend their album "Red Silent Tides", which is also packed with tons of great melodies. You should give this a listen! Number 5: DYNAZTY - "Back Again"
Here we have another very young band with an excellent singer. Dynazty play traditional Hard Rock with some sleaze elements. It's nothing new, but it always sounds fresh here. "Back Again" is an amazing, emotional power-ballad. Perfect! Come back tomorrow to see who reached position # 04!